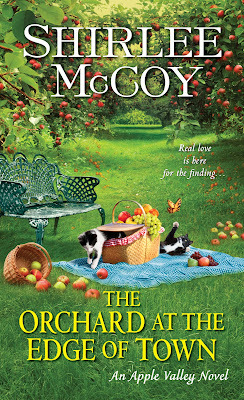 ★ Blog Tour ★ ORCHARD AT THE EDGE OF TOWN by Sherlee McCoy — Excerpt + Giveaway! A Print Copy of ORCHARD AT THE EDGE OF TOWN! Exclusive Excerpt of ORCHARD AT THE EDGE OF TOWN! “About?” She turned to face him, her gaze direct. If she were hiding anything, she wasn’t showing it. He did not laugh, but God! He wanted to. 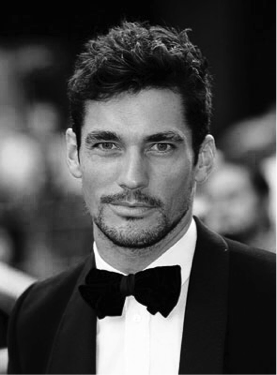 “Deputy Simon Baylor.” He offered his hand, and she gave it a firm, quick shake. No nonsense. That was the impression she was giving off. Her big pink dress was giving off another impression altogether. It was saying froufrou and fluffy, a little flighty and scattered. He did have things to do. Daisy worked at the library, and if he knew one thing about his sister-in-law, it was that she liked to be the first in every morning. “The Schwinn that’s sitting on the porch?” The one that looks like it should be ridden by Dorothy or by the Wicked Witch of the West? “I’ll drive you to your truck.” The girls wouldn’t be awake for another twenty minutes, and Daisy didn’t have to be at the library until eight thirty. He could give Apricot a ride, check her ID, make sure everything she said was kosher. Give himself a little more to smile about, because he was smiling. The pink dress, the tumbling-over hair, the image of Apricot pedaling along the dirt road was probably the most amusement he’d had in a good long while. Here's our podcast discussion of the July 2015 pick, THE 9TH GIRL by Tami Hoag! Are you a fan of the Kovak/Liska series? Comment below and let us know your thoughts if you've read the book! ★ Blog Tour ★ PERFECT TOUCH by Elizabeth Lowell — Excerpt + Giveaway! We're so excited to share bestselling author Elizabeth Lowell's latest novel, PERFECT TOUCH, as part of the blog tour organized by Tasty Book Tours! 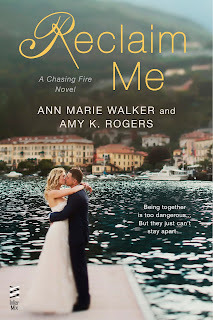 Be sure to check out the exclusive excerpt from the book, and enter the giveaway below! Good luck! Sara Medina is a designer and art dealer from San Francisco. She matches her clients desires with fine and folk art from the world over--living up to her thriving business named Perfect Touch. She still remembers her rural childhood of hard work and poverty on the family dairy farm, but she keeps it firmly in the past as she searches out new artwork and artists that are on the breaking edge of acclaim. After she experienced the cultural riches San Francisco had to offer, she decided her life would be that of an urban career woman rather than a working mom commuting from the suburbs. With the intensive hours and travel required to grow her business to the next level, she has no time or energy left for romantic or family entanglements. Jay Vermillion recently inherited Vermillion Sky, a ranch that nestles up to Wyoming’s Grand Teton Mountains--and the estates of the rich and restless. As a returned veteran of numerous deployments over the course of two wars, he finds himself wrestling with the demands of a ranch that has been run down during his father’s long illness. Between the urgent need to modernize and revitalize the Vermillion Sky, as well as an unexpected and vicious fight with his former stepmother over the custody of now-valuable paintings that were part of his father’s estate, Jay has no time for finding a wife and creating a sixth generation of Vermillions to ensure the family legacy continues. When Jay hires Sara to appraise and market his father’s cache of paintings by Harris “Custer” Armstrong, neither one expects the explosive results of their eventual meeting in Jackson, Wyoming. In addition to a mutually inconvenient attraction, they a discover double murder at the edge of the ranch lands and a potential betrayal even closer to home. All trails lead to Custer’s artworks as valuable enough to kill for, especially an unknown painted rumored to be called The Muse. Exclusive Excerpt from Perfect Touch! Even as that irritated thought crossed her mind, she hesitated. The call could be from Jay Vermilion, the man who had dozens of fine art paintings that could kick her career up to the next level. Paintings with the potential to be so valuable that they’d been the part of a hotly contested divorce settlement for more than a decade. Maybe, just maybe, she thought, one of those paintings is the fabled Muse, the only portrait painted by Custer. That would explain why the legal battle had even outlived the original owner of the paintings, JD Vermilion. JD had passed away several months ago, and his much-younger ex-wife, Liza, was suing JD’s estate to gain access to the art her former husband had begun collecting before she’d even been a teenager in braces. 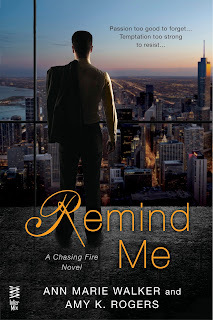 With the passing of her ex, Liza had simply turned her lawyers loose on the primary heir to JD Vermilion’s estate—his son Jay. Sara’s mouth curved slightly as she continued walking. I’ve never met the infamous Liza Neumann, once Vermilion. But with possession being nine-tenths of the law, I’d put money on Captain Jay Vermilion keeping his ex-stepmother’s grasping hands off the undiscovered Armstrong “Custer” Harris paintings in the future, as well.The retired army veteran who had recently inherited the family ranch—the fruit of generations of his Vermilion ancestors—had a grit and determination to him that came right through the phone line. You haven’t even met the man, Sara reminded herself. She fished the cellular out of her tight front pocket at last, glanced at it, and saw the call had gone to voicemail. She palmed the phone and gave a mental shrug. It wasn’t a Wyoming number calling, which meant it wasn’t the Sheriff. Think of the good Captain like any other potential client who calls you during business hours to get advice on Western art, she told herself firmly. Jay Vermilion might be a potential client, but he was also the man she had been talking to half the nights for the past few months. At first it had been all business, but somehow the conversations had quickly evolved into … more. I don’t know how I could talk about myself and my work and my dreams like that with someone I’ve never met. And he talked to me, too, about the ranch and weather and the Western woman he hoped to find and marry and beget the seventh generation of Vermilions. We have such different lives and goals, it’s surprising we had so much to talk about in the first place. Elizabeth Lowell’s exciting novels of romantic suspense include New York Times Bestsellers: Dangerous Refuge, Beautiful Sacrifice, Death Echo, The Wrong Hostage, Amber Beach, Jade Island, Pearl Cove, and Midnight in Ruby Bayou. She has also written NYT best-selling historical series set in the American West and Medieval Britain. She has more than 80 titles published to date, with over 24 million copies of her books in print. She lives in the Sierra Nevada Mountains with her husband, with whom she writes novels under a pseudonym. Her favorite activity is exploring the Western United States to find the landscapes that speak to her soul and inspire her writing. The authors cast their characters! 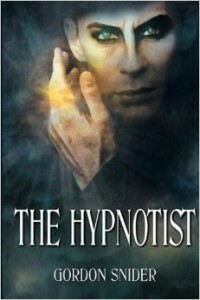 ★ Book Review ★ THE HYPNOTIST by Gordon Snider! We're excited to share our review of THE HYPNOTIST by Gordon Snider for TLC Book Tours! For lurking in the background is the hypnotist. He has become obsessed with Marta and will use all his guile to ensnare her. When he threatens those she loves, Marta is determined to stop him, even at her own peril. Will her boldness entrap her? If so, how can she hope to escape the man's hypnotic embrace? Then the earth trembles, and Marta's world will never be the same. Something evil is preying on young women on the streets of San Francisco in 1906. The missing women are poor, and if they have any family they do not report them to the police but rather assume that they are runaways. The women seem to disappear without a trace; there are no signs of a struggle or any witnesses. Marta Baldwin, a young woman with social status has set up a business, using her inheritance, to help the poor. On one of her trips to visit her clients, she has a very odd and unexplainable experience. She runs into a very odd man wearing a ring with a very distinctive jewel. Her gaze is locked on the man and the ring and she is drawn into a fugue-like state in which she feels like she is drowning, but for some reason unbeknownst to her or the man trying to take her hostage, she is able to break out of the spell and avoids disaster. Marta begins to piece things together what is happening when Missy, her employee, tells her about the missing girls and the mysterious man who is capturing them with his “spells.” Marta believes that the predator is hypnotizing the young women, and that she was one of his targets. The Hypnotist is a spine-tinglingly creepy historical thriller. The author draws the reader back in time to the 1900’s in San Francisco and vividly renders the sharp contrasts between the “haves and have nots” and the stark inequality between men and women during that timeframe. The characters in The Hypnotist are well developed. The author shifts to first person to allow the reader to get into the mindset of The Hypnotist and he is a seriously twisted, psychotic and dangerous character on par with Steven King’s creepier protagonists. The author has created his own form of hypnosis with his richly written novel, and captures the reader under his spell from the first page. This book is a hauntingly good read that was just too good to put down. Gordon Snider has written three non-fiction books, including his latest, I’m Travelling as Fast as I Can, which takes a humorous journey to far-away-places around the world. 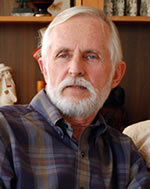 When he moved to California’s Central Coast in 1999, he began writing fiction. The Origamist is his fifth novel and a sequel to his third, The Hypnotist, a very popular historical thriller that is set in San Francisco in 1906. The other novels include: Sigourney’s Quest, an adventure story about a woman’s harrowing journey across Tibet; The Separatist, a mystery/suspense novel set in modern San Francisco; and Venice Lost, an adventure/fantasy about a man who becomes lost in time in Venice, Italy. Gordon has lived in California nearly his entire life. Home has ranged from Los Angeles to San Francisco, with stops in Santa Barbara and Pismo Beach. Currently, he and his wife, Fe, enjoy walking the beaches and observing the migrating whales from their home in Pismo Beach. It is, he says, the perfect setting for creative writing. Find out more about Gordon and his books on his website. ★ Cover Reveal ★ HARD CASE by Marc Hirsch!